For the 24 hours to 23:00 GMT, the EUR rose 0.32% against the USD and closed at 1.1295 on Friday, amid speculation that news of a Japanese bank’s plans to purchase a German multi-billion-dollar aviation finance business might boost demand for the currency. Data indicated that the Euro-zone’s seasonally adjusted industrial production dropped 0.2% on a monthly basis in February, amid drop in energy production and less than market expectations for a fall of 0.6%. In the previous month, industrial production had recorded a revised gain of 1.9%. In the US, data showed that the US flash Reuters/Michigan consumer sentiment index declined to a level of 96.9 in April, compared to a reading of 98.4 in the prior month. Market participants had envisaged the index to drop to a level of 98.2. In the Asian session, at GMT0300, the pair is trading at 1.1313, with the EUR trading 0.16% higher against the USD from Friday’s close. 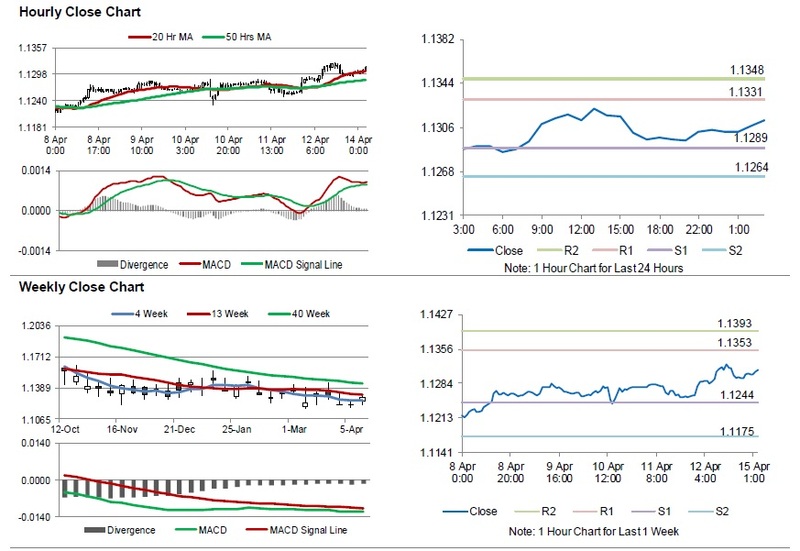 The pair is expected to find support at 1.1289, and a fall through could take it to the next support level of 1.1264. 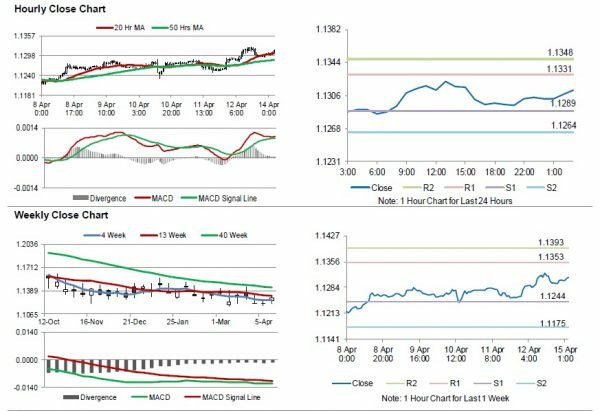 The pair is expected to find its first resistance at 1.1331, and a rise through could take it to the next resistance level of 1.1348. Amid lack of macroeconomic releases in the Euro-zone today, investors will keep an eye on the US Empire State manufacturing index for April, slated to release later in the day.